This post is sponsored by Bright Star Kids. Last month, I asked my husband what he wanted for Father’s Day. I waited for him to elaborate, whether to add to the list of things he’d like, or to clarify that what he really wanted were some fancy-pants socks. Perhaps iSocks had recently hit the market, promising to simultaneously measure his heart rate and blood pressure, play music, cure cancer and massage the soles of his sore feet. But no. Socks. Just socks. Socks were the beginning, middle and end of his Father’s Day wish list. On some level, this makes me happy. When the only thing your husband can think of that will make his life is better is some cushioned comfort for his tootsies, we must be doing okay. But on another level, this makes me angry. Socks? What am I supposed to do with that? WHAT ARE WE SUPPOSED TO GET HIM? So I contacted perennial favourites Bright Star Kids for some inspiration. (You might remember them from such posts as Back to school time and Reno reveal – the stairwell landing.) I hoped they had something unique and fun for Father’s Day, and they didn’t disappoint. Bright Star Kids has a range of father-themed clothing for fathers and for their kids. And some of the items are so cute! 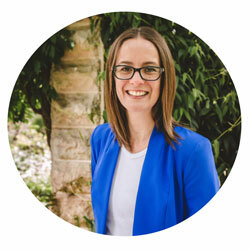 Regular readers of this blog will know that music is very important to me, with weekly toddler music group an important part of our family calendar. The idea of theming some matching Father’s Day clothing around this was too good to ignore. For my husband, I selected the Music Massage Men’s T-shirt, with ‘Hawker band rehearsal’ printed underneath the musical instruments. 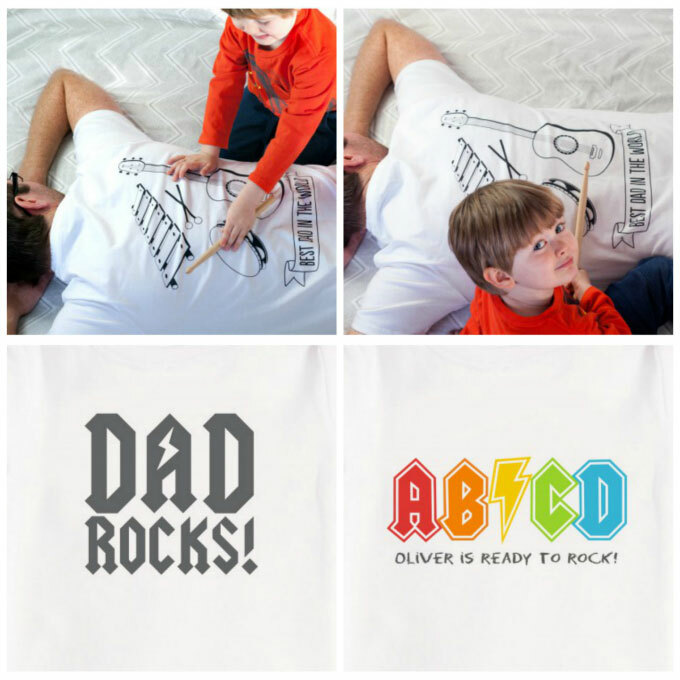 It’s a white tee with musical instruments printed on the back, which the children then ‘play’ while he’s resting on the floor, effectively massaging his back. Sound relaxing? We’re still deciding about that one. But the fun is undeniable! For my daughter, I selected the Dad Rocks T-shirt. It’s fun, and it fits perfectly with the band rehearsal theme. And it’s accurate. He really does rock. 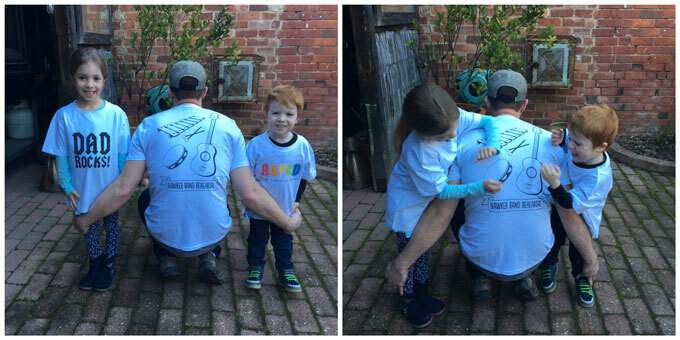 For my son, I looked beyond the Father’s Day range and selected a gorgeous tee from the regular range. He just loves his AB/CD T-shirt! You can personalise this tee, but rather than print his name on his t-shirt, I went with simple text so that we can pass it along to a cousin when he outgrows it. Turnaround was amazingly fast. I received these personalised items less than a week after I ordered them, so there’s still plenty of time to order before Father’s Day. The best part? Bright Star Kids currently has two discounts available. The first: if you buy three or more items of clothing, you’ll receive 15% off your order. The second: if your order is $60 or over, you’ll receive free delivery. And if you order the items my adorable family is modelling, you’ll benefit from both. WINNER. Have you ordered any Father’s Day presents? If you ordered these tees, how would you personalise them? Coolest kids (and dad) in town! Now everyone can rock their socks off! Such cute t-shirts and a great idea! I had forgotten Father’s day was getting close! It’s between two huge events for me this year, so I’m glad I remembered! These are great! So many Father’s Day gift guides are boring things that would mean nothing to my husband- mugs are out as he hates hot drinks, he’s not a sport fan at all, doesn’t care for cars but music? That’s the way to a rockabilly dad’s heart! Yep, and lots of technology-related stuff. Bluetooth this and wifi that. Oh I LOVE these. They will work well for my bigger kids too. Thank you. You’re welcome! I hope they like them. So much better than socks! Lol! Agreed! Unless there really are some iSocks on the market. Excellent idea! WRITE IT DOWN. I’ve got some drumsticks for the kids too. Not sure how ‘relaxing’ they’ll be. Oh well! These are cool… my husband genuinely does need actual socks, loads of his are in a right state. We’re in money-saving mode here and my hubby hates spending cash at the best of times, so to keep him happy… it’s probably going to be just the socks plus a big cake, I think. Yes, while this is fun, I will actually really be buying my husband lots of new socks as well! Your family is ridiculously cuuuute!! Love those tees especially the music massage one. My husband will be overseas this Father’s Day so I need to start planning now!! Ps. My dad always asks for socks and yes it is annoying lol. Nawww, thank you! I certainly think they’re adorable. I find my step-dad tricky to buy for. It’s his birthday in early September as well. Double difficulty points. Very cute Em. Where is your one? Didn’t think of that! I’ll wear one of my Beatles tees when the family is all themed up. OMG I haven’t even THOUGHT about Father’s Day, thanks (trying not to be sarcastic!) for the reminder! Seriously though how cute are these shirts. Personally, I LOVE cute socks. Can never have too many of them. Especially as Miss 19 keeps pinching them!!!! You’re welcome! And yes, perhaps I have done a disservice to socks in my intro. Toblerone! I need to get Toblerone, too! Thanks for the reminder. The shirt is perfect, fun and most of all enjoyed by everyone. Thanks for the inspiration!! Someone had to do it! In fact, I’m surprised it took this long! Love those tees. What a great idea. Great for the dad that has everything! I haven’t ordered anything, but I did buy craft supplies so hoping our creation turns out ok.
Ooh, sounds intriguing! Have fun with it.